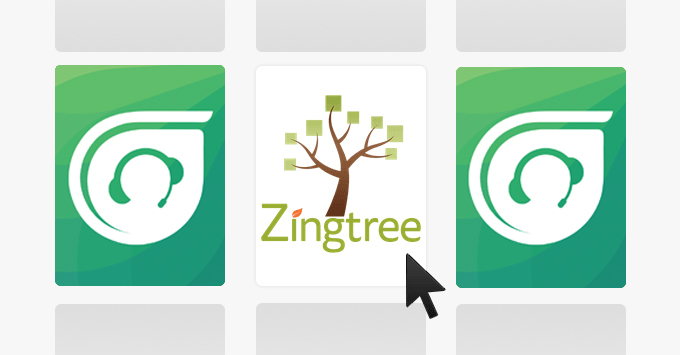 Update October 2018: See this article for an even better way to integrate Freshdesk and Zingtree. 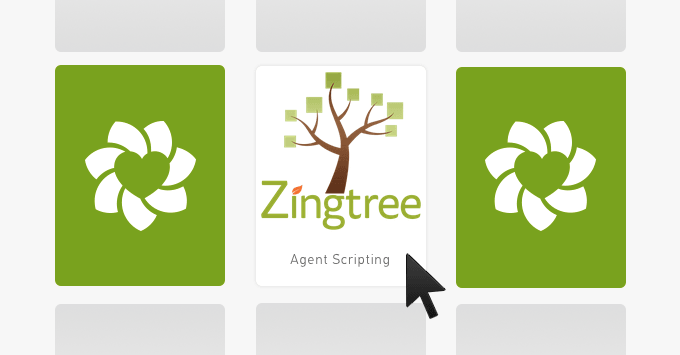 Freshdesk is one of our most popular integrations, so we’ve made sure it’s easy to import Zingtree session transcripts into a Freshdesk ticket. With the integration in place, support staff can see all of the steps a customer went through in a decision tree before needing to ask for help – it’s a huge time-saver for agents! You will need the Estate or Forest plan from Freshdesk to accomplish this integration. You’ll first need Freshdesk Admin privileges to complete the process. 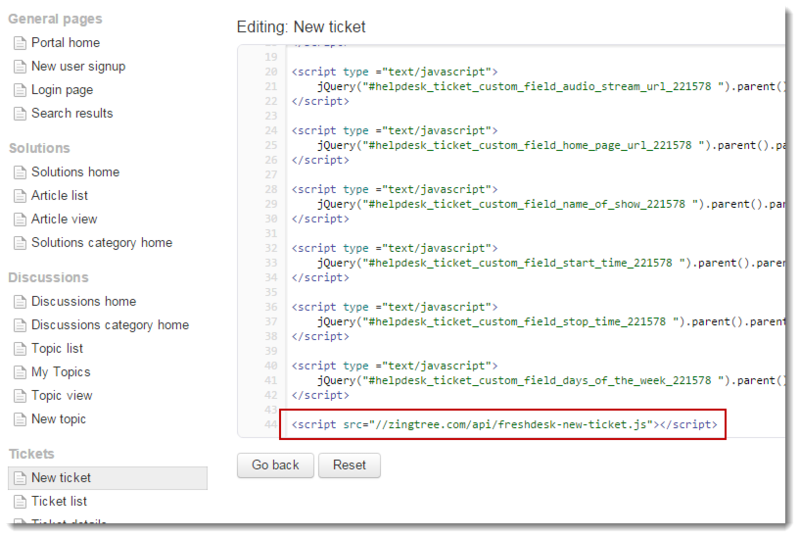 This method will create a new field called Zingtree Session Data; it gets hidden from the customer, but it appears for the agent answering the ticket. It includes the entire Q&A transcript of the user’s Zingtree session prior to opening a new ticket in Freshdesk. In Freshdesk, go to your Admin panel, and select Ticket Fields. Click Save to add the field. 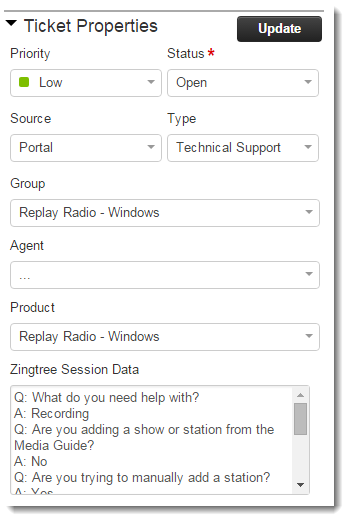 Next go to Admin, Portals, and click Customize Portal next to the portal that will receive Zingtree data. Go to Layout and Pages, Portal Pages. We’ve set up a sample Gallery tree (“Freshdesk Integration example”) for you to examine here. You can copy this tree, and then change the URL link to point to your own Freshdesk domain. Follow these steps and in 15 minutes or less you’ll have a powerful integration between Freshdesk and your Zingtrees. 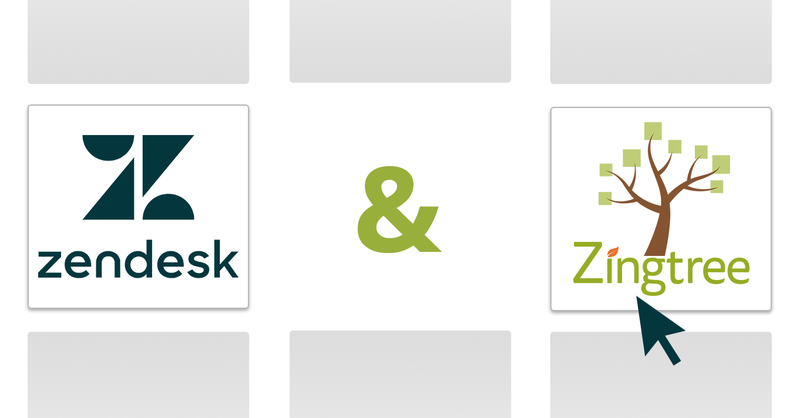 In the ZenDesk integration it shows how you can use the trees within ZenDesk – is that not the case with FreshDesk? Freshdesk works similarly. You get a new tab instead of a small window like Zendesk provides. Does this work for the Sprout version of Freshdesk also? This works with all editions of FreshDesk. On zendesk it works fine with contact form. But if there are errors when filling contact form, the session id is not passed when form is submitted after filling in error fields. Could you please fix this bug in your script? Thanks. Thanks for the tip. This is now fixed.